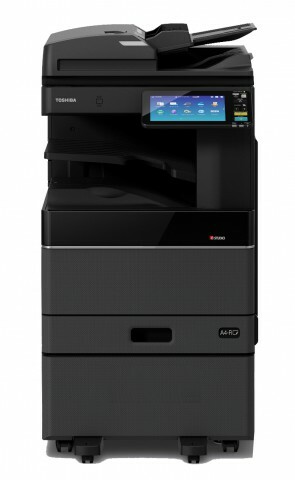 Toshiba e-Studio 2000AC MFP series multi-function color copier machine has copy / print and scan standard, 20 PPM printer speed, 2400 x 600 dpi resolution, 55000 monthly duty cycle, 4GB memory, 320GB HDD, RADF optional item, extra drawer and bluetooth. This product toshiba e-studio 2000ac photocopier comes with 1 year free service in dhaka city and consumable accessories depend on 70000 copy 6 months warranty, mechanical accessories depend on 70000 copy 1 year warranty. Visit showroom or call to buy the toshiba e-studio 2000ac photocopier from Dhaka, Bangladesh.